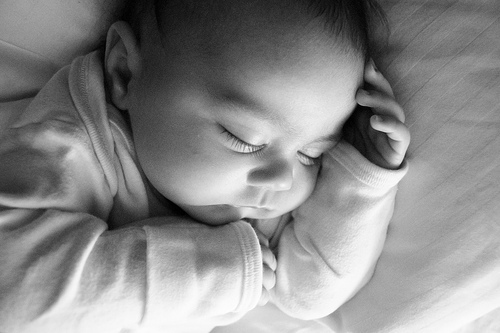 SIDS and Sudden Infant Death SyndromeWhat is SIDS? Sudden Infant Death Syndrome (SIDS) is the tragic loss of a young baby. According to First Candle, an organization working to reduce the risk of SIDS, the technical definition of SIDS is “the sudden, unexpected death of an apparently healthy infant under one year of age that remains unexplained after the performance of a complete postmortem investigation, including an autopsy, an examination of the scene of death and a review of the medical history.” SIDS is sometimes called "crib death." Cribs, however, do not cause SIDS. Sleep and the sleep environment have been associated with increasing risk. As a result of the national “Back to Sleep” Campaign” launched in 1994 as a joint effort between First Candle, the American Academy of Pediatrics and National Institute of Child Health and Human Development, infant death rates have declined by more than 50 percent. Despite this success sudden infant death syndrome remains the leading cause of death for infants one month to one year of age, continuing to claim the lives of more than 2,000 babies each year. Who is Most at Risk for SIDS? While sudden infant death syndrome occurs in all socio-economic, racial and ethnic groups, African American and Native American babies are two to three times more likely to die of SIDS than Caucasian babies. > 90% of all deaths occur before 6 months of age. > Most babies that die of SIDS appear to be healthy prior to death. > 60% of victims are male; 40% are female.